DJI Inspire 1, Phantom 3 & Phantom 4 Remote Controller Monitor Hood Smartphones shields your smartphones from direct sunlight to give you a perfectly clear view of your display. 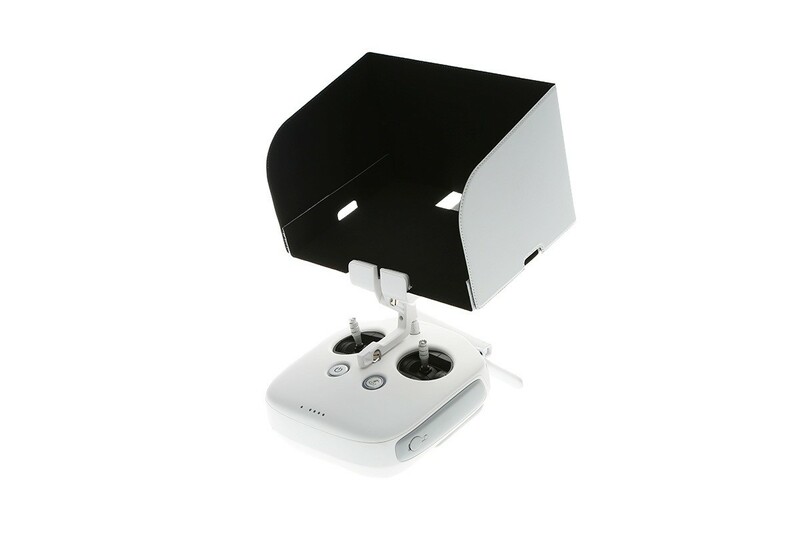 Collapsible and easy to carry, the hood can be installed on the remote controllers for the Phantom 4, DJI Inspire 1, DJI Phantom 3 Professional and the DJI Phantom 3 Advanced. Compatible with iPad Mini and the majority of tablet devices. Maximum device size: 9.5 Inch tablet, the hood comes suplied with Velcro for fitment. 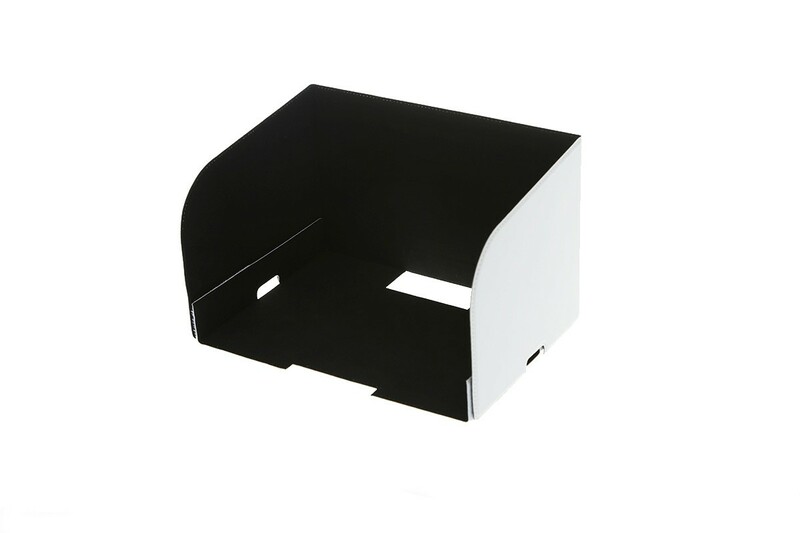 Please note these are not genuine DJI hoods, however they work as well and hold the tablet in place better with a rubber backing for the tablet to sit on.